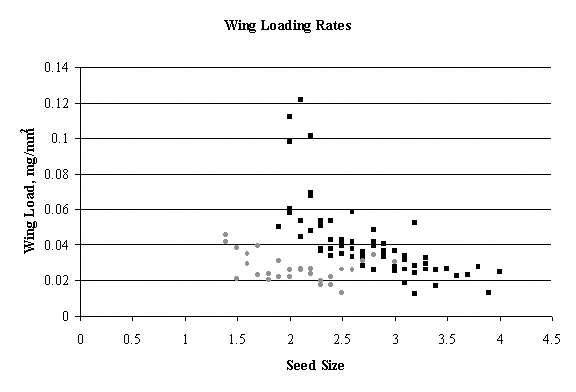 Figure 3: Wing-loading rates by seed size. Those sites above the TML threshold of 3.0 (sites 14 and 14-16, ) were slightly lower (F = 0.11, p < .01) than those below 3 ( ). The major difference, however, is that sites above the TML threshold of 3.0 produce little seed with high loading rates.